At The Phoenix Handyman we have seen our fair share of electrical problems in Arizona. 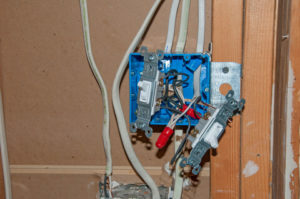 With over 30 years of experience in the Phoenix home repair trade, we can repair almost anything including electrical. We can take care of repair and maintenance of your electrical system at a fraction of the cost of calling a licensed electrician. Review the list below for more information. Whether you’re doing bathroom maintenance, kitchen repairs or general repairs in your home, multiple “systems” – including your electrical service – are frequently involved. Electric water heater installation requires a connection to your electrical circuit, as does garbage disposal installation. While minor lighting and breakers & outlets are the main electrical work we do, pretty much any home improvement and many installations will have an electrical component involved, making a local handyman service like us indispensable, preventing the need to hire separate contractors. We do most small to medium home maintenance jobs which are too small for “the big guys” to bother with. Remember: “One call does it all!”. No matter what projects are on your Honey Do Lists, let The Phoenix Handyman help you with them! Call us today or go to the “Estimate Form” page to contact us for an estimate! 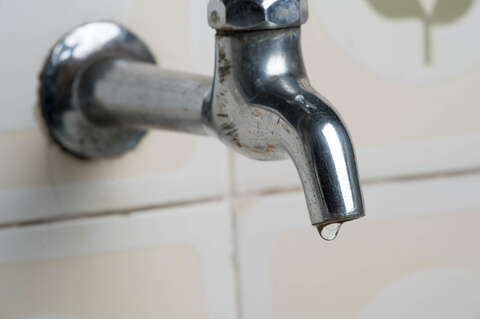 Do you need a Phoenix plumber to take care of annoying leaks and general plumbing repair? Handyman Greg Knutson has been a Phoenix Plumber for more than 30 years. Whether your need is for home maintenance or commercial repairs, Greg’s services include the capabilities in the list below. GUYS: Are plumbing repair issues in your home on multiple Honey-do lists but you aren’t giving them any attention? We know your secret: Many men fear tackling even the most basic plumbing tasks, especially when toilet repair is involved. But you have an out: The smart husband will know when simply hiring a professional handyman for a couple hours makes a lot more sense than spending an entire trying to fix a toilet leak or other plumbing issues. LADIES: Wouldn’t you rather have your husband playing with your kids or taking you out for a Saturday bike ride than making multiple trips to Lowe’s and Home Depot? It’s a fact: some things are just better left to a professional handyman, Maybe you could help your hubby out by calling The Phoenix Handyman for those small jobs that are anything but that to your guy. Nobody can repair leaks like Greg Knutson! Plumbing services are many times simply better left to someone with daily experience rather than “weekend home repair warriors”. Don’t delay, call property maintenance pro Greg Knutson today!